A striking, beautiful, photo portrait of a young screech owl looking straight into the camera. A wonderful National Wildlife Federation photo taken by Jack Nevitt, at a rehab facility. Makes a fun mail to kids, grandkids, nieces, nephews, kindergarten & school students. Raises our kids' awareness and enthusiasm for our planet's wildlife, and their knowledge of our bird species. P.S. 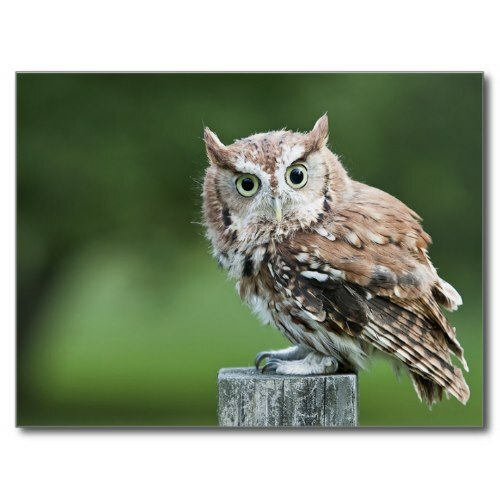 the original title of this blog post was "I Screech Owl You"; it was changed on my friend Gene Wallace's cool suggestion, to "Owl Screech For You". Thanks Gene.